The perfect gift for the crazy cat lady in your life! 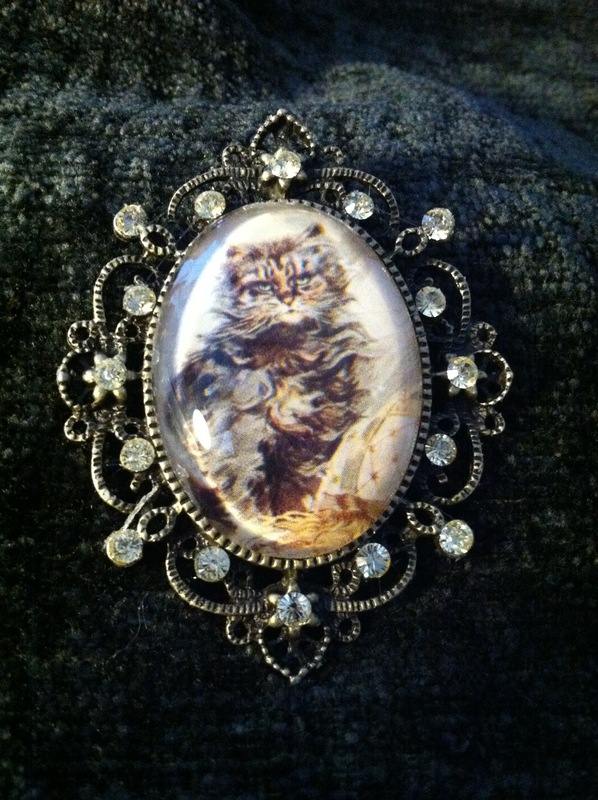 Beautiful kitty cameo in a bronze frame surrounded by handset vintage Swarovski crystals. Bronze chain included. $35.